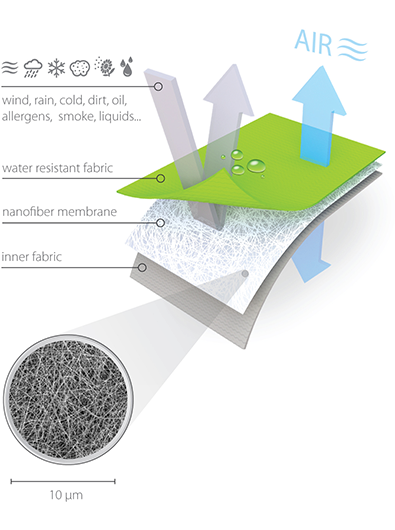 The RESPILON® Apparel Membrane uniquely uses the latest nanofiber technology to deliver enhancements that make our products 100% wind & water resistant, and provides a new level of comfort. Please check Learn more or Technical data sheet. Please check the attached Technical Data Sheet and contact RESPILON® for more information. The RESPILON® Window Membrane offers advanced protection for home, office or business. The membrane contains a three-layer material — a breathable mesh/nanofiber layer/breathable mesh — this combination provides unparallel durability and protection against small particles. 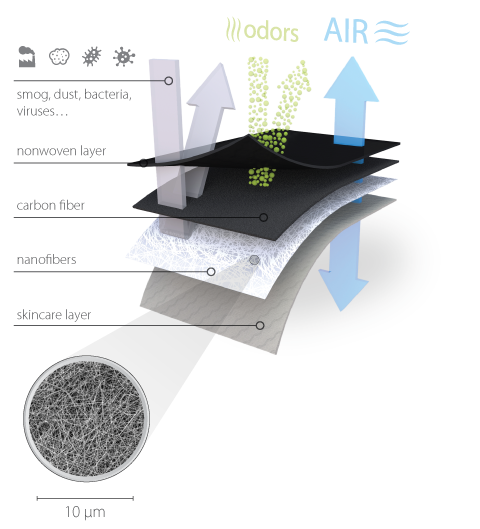 The function of the nanofiber layer captures particles as small as 150nm, including smog, emissions, dust, ash, pollen and rain. RESPILON® products were developed to protect our health using advanced nanofiber technologies. 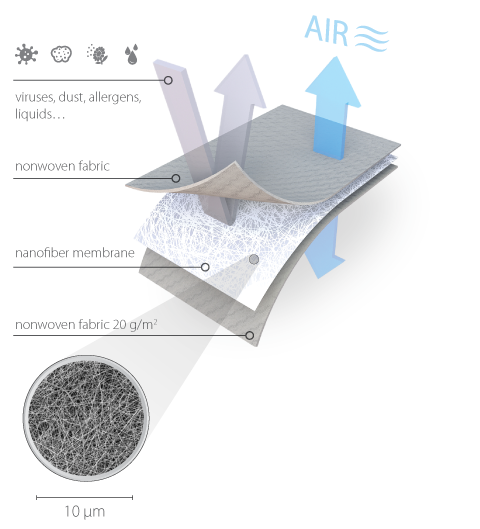 A three-layered membrane in our ReSpimask® with pores smaller than 150nm captures smog, emissions, bacteria, viruses, allergens and other dangerous airborne particles. This product offers protection for many industries from health care workers to first responders to construction workers. The RESPILON® Facemask Filter is a raw nanofiber membrane that can be used in scarves (the membrane is reusable and washable) as well as in filtration half masks. The biggest advantage of the RESPILON® Facemask Filter Membrane is that it can be used in many existing products. RESPILON® cares about people’s health because air pollution kills approximately 4.6 Million people a year worldwide, According to Science Daily. This number increases every year and very few products on the market can actively protect against smog, bacteria, diesel fumes, aerosols and other micro particles. Our RESPILON® RESPIRATORY FILTER offers a new generation of nanofiber membrane that provides much improved breathability and filtration efficiency, meaning it has a wide range of uses in many different filtration devices, including medical and industrial respirators. The RESPILON® Beverage Membrane uses nanofiber technology to deliver a higher level of filtration for use within the beverage and food manufacturing industry. 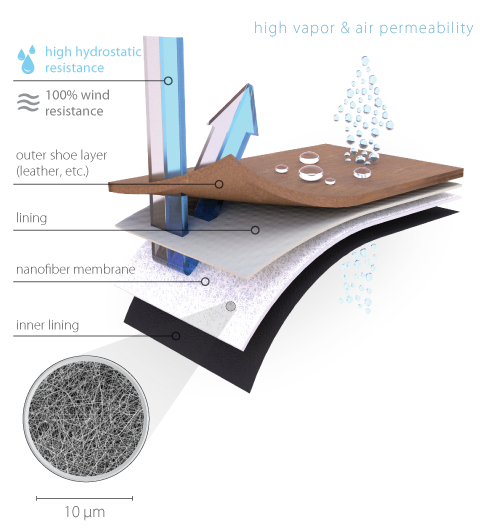 The unique properties of the nanofibers help speed up the filtration process, making it more effective, efficient and gentle on the substance being filtered. Our Beverage Membrane is 3 to 4 times thinner than ordinary cellulose filters and can be cleaned and reused more than 15 times. Welcome to the next level of filtration. Please review the attached Technical Data Sheet and contact RESPILON® for more information.